Rebuilding Together – contributed 87 volunteer hours by 19 volunteers and $1,000.Foodbank Service Day -a great day spent with family and friends - giving back to the community! This was accomplished by at least 98 volunteers for our projects giving at least 508 hours of your precious time!!! Last year we had on Paul Harris Society Eligible member this year we have 2! 3000 in for our Roatan Project! Sponsored a Tent for the Bike Ride for Polio Indi 130 and provided 2 Club Riders and 3 other riders!! Sadly we lost two Honorary Members and past presidents, Ron Borto & Dart Koedyker. 5 evening and outside meetings where our families joined us! We have had 8 media stories in our local papers and our projects are part of the featured projects at the District Annual Celebration in Elkhart and online in the Rotary Showcase. Collaborated with 3 other clubs and were awarded the PR Punch Grant of 1,000 each to be used for billboard advertising this year – starting right now and continuing through October. 4 students attended RYLA and came back invigorated! Anxious to make our Interact Club the best! And how lucky have we been with events and speakers!! Club Assemblies, Evening meetings with our spouses and friends! Len Sherwinski of Honor Flight and we honored many of our vets! Leslie Plesac - Unveiling the Sinai Forum for 2017!! Dart Koedyker passed away on Tuesday morning in Florida, Dart was President of the Rotary Club of Crown Point 2003-2004. It was during Dart's presidency that our Roatan Library project took root and continues to thrive, and in fact, is about to grow and move to a new home. Dart was an active member of our club until his retirement. Since then he has been an Honorary Member – and it truly was an honor to have him as a member! He continued to actively attend our meetings right up through this year anytime he was home. He was an amazing carpenter as well, guiding us through many Christmas in Septembers/Rebuilding Together projects. This week you'll receive your letter from the Imagination Library Committee. 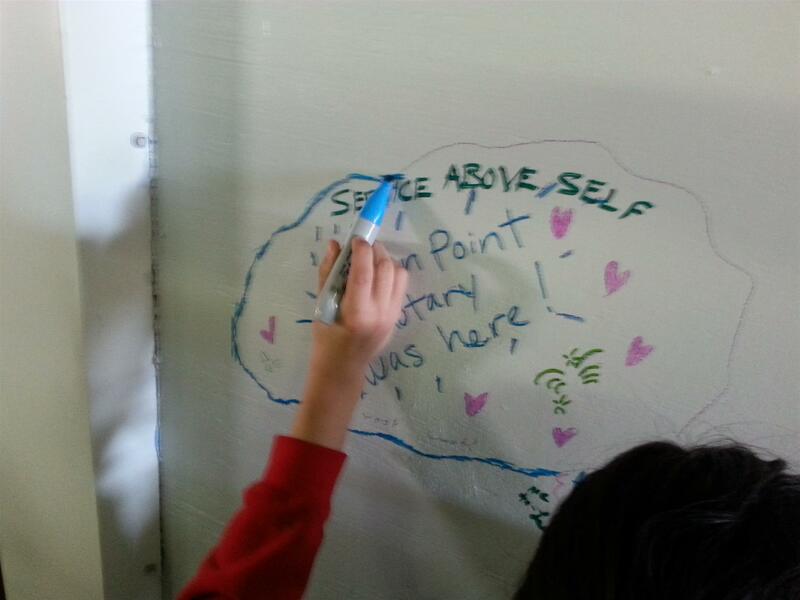 We are starting our Community-wide campaign with our club. We want to achieve 100% participation from our club before we expand the campaign to the entire community. Remember for under 30/year we can provide a book each month delivered directly to a child aged from birth to 5! What a great investment in our community's future!! 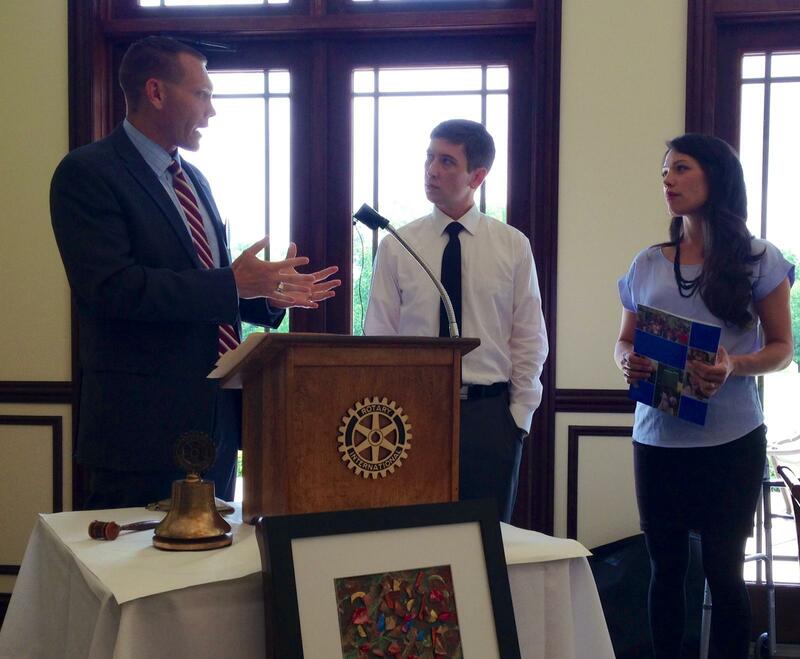 What a joy it is each month, to have our Junior Rotarians! 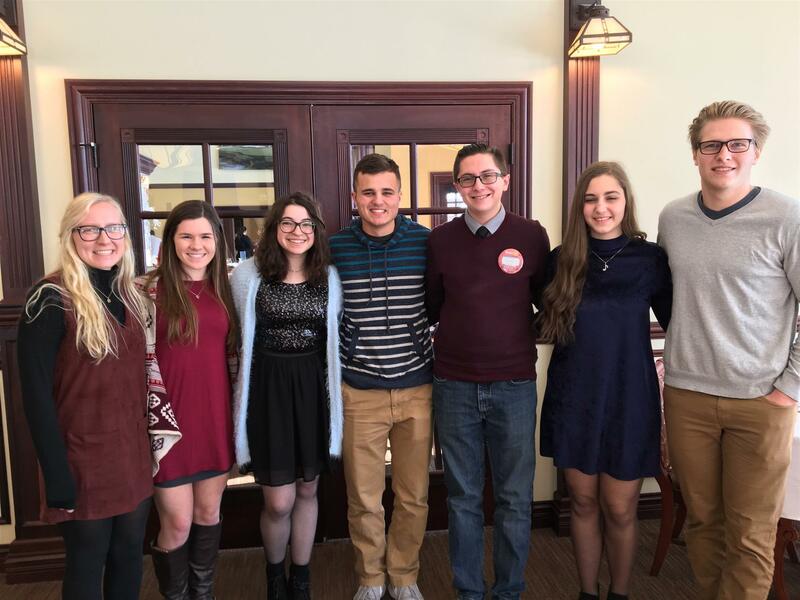 This month, committee chair, Jerry Caravana, presented each one with a 2016-17 RI Theme pin, which will commemorate their visit with us! Our first group of Junior Rotarians for 2016-17! Great Kids! 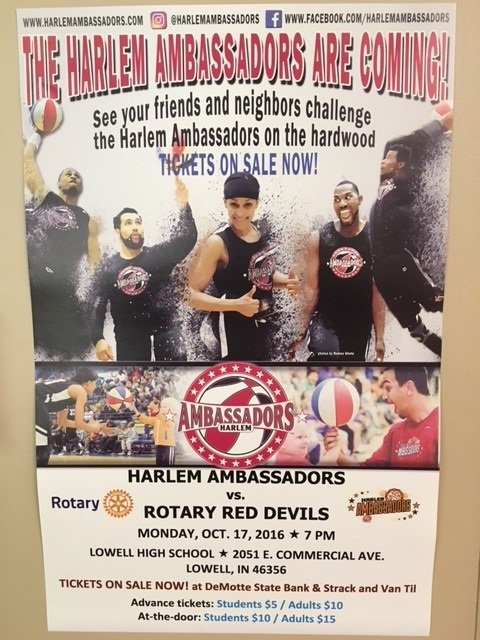 The Rotary Club of Lowell is hosting the Harlem Ambassadors on Monday, Oct 17,2016 at Lowell High School 7PM. 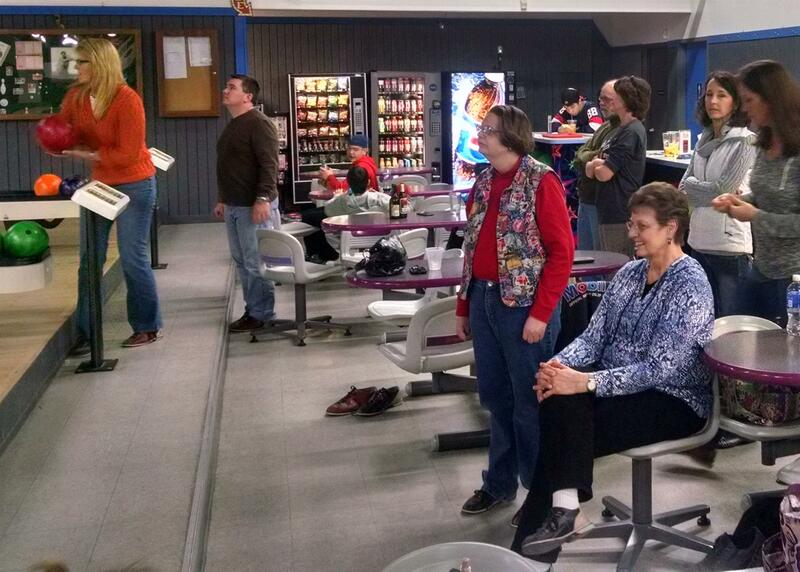 The club is helping raise money for the IWIN Foundation which is a women's cancer group in Indiana. In addition they will also will be raising money for our Rotary high school scholarships given to civic minded students. President Jesse Forrester says " the club has a separate fund setup to help buy tickets for students who can't afford to go, so even if you can't go, you may want to just chip in a few bucks - that works great too. :)"
Mark Your Calendars! Crown Point Rotary's | Saturday, October 15th, 2016 |12th Annual Blues, Brews & Bbq Stay tuned for band line-up and other exciting event details! 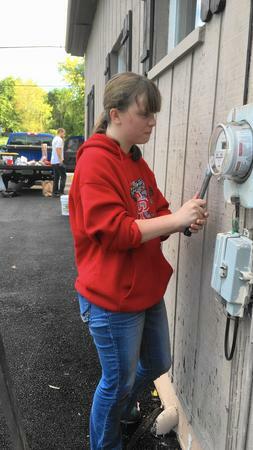 Kassie Gre ep, a Crown Point High School freshman, scrapes paint off a house on Harrison Street before the Crown Point Rotary team paints the house as part of the Rebuilding Together 2016 one-day project. 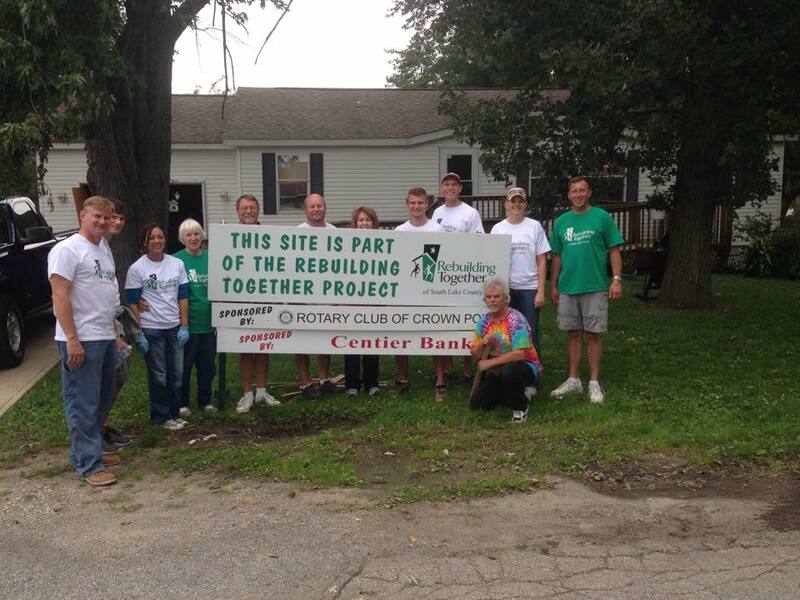 Rebuilding Together of South Lake County was in Lowell on Sept. 17. This group is made up of public minded individuals, business, unions and corporations to be able to reach out and help low income people, those who are physically challenged, and vets who are homeowners to get necessary repair or maintenance work done on their houses to maintain the quality of life, and security for all the household members. The applicants have to furnish information documenting the total household income. This group was at one time part of the well known National group called Christmas in September. 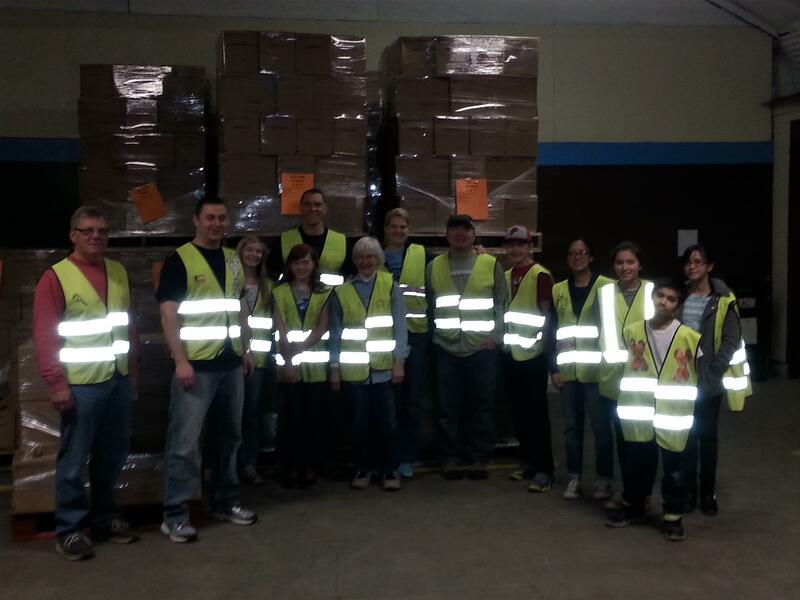 This organization of energy-filled people serves just four communities, one each year. This year was Lowell's turn. In future years it will be Merrillville, Cedar Lake, Crown Point and then back to Lowell. Ten houses were selected in Lowell this year. There was a great deal of difference in what was needed being done at each home. Cost estimates ranged from just $500 in one place to over $2,000 in another. 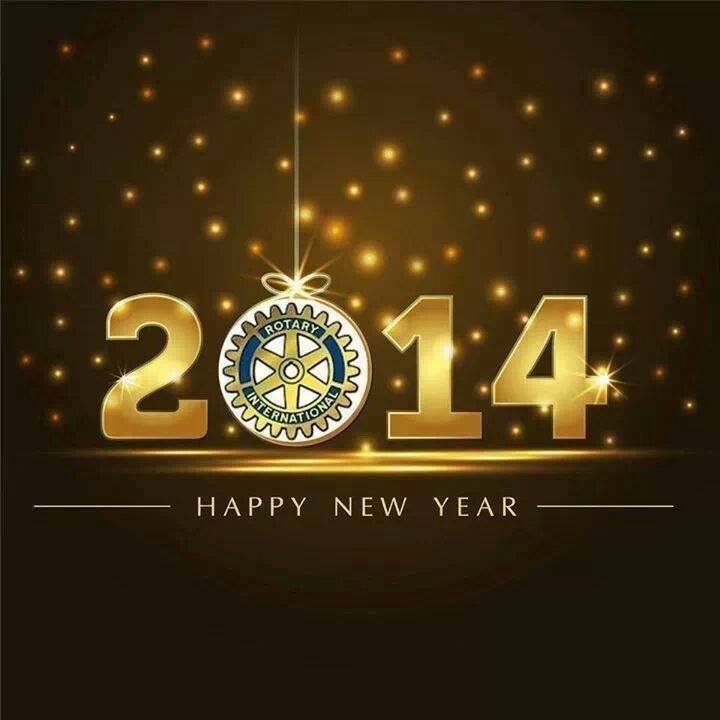 What a great start we've had for this Rotary year! Your participation is appreciated more than you can imagine! I’ve designated September as Crown Point Rotary’s Imagination Library Month! As the school children get ready to go back to school I’d like us to focus on those children who won’t enter the school system for another 1-5 years! In particular those children who don’t have all the gifts of time and family available to help them prepare for life’s journey. Rotary International’s service partnership with The Dollywood Foundation’s Dolly Parton Imagination Library provides opportunities to collaborate in support of basic education by fostering a lifelong love of reading and learning from an early age. Through this partnership, children receive access to age-appropriate reading materials to help establish a strong educational foundation early in life. 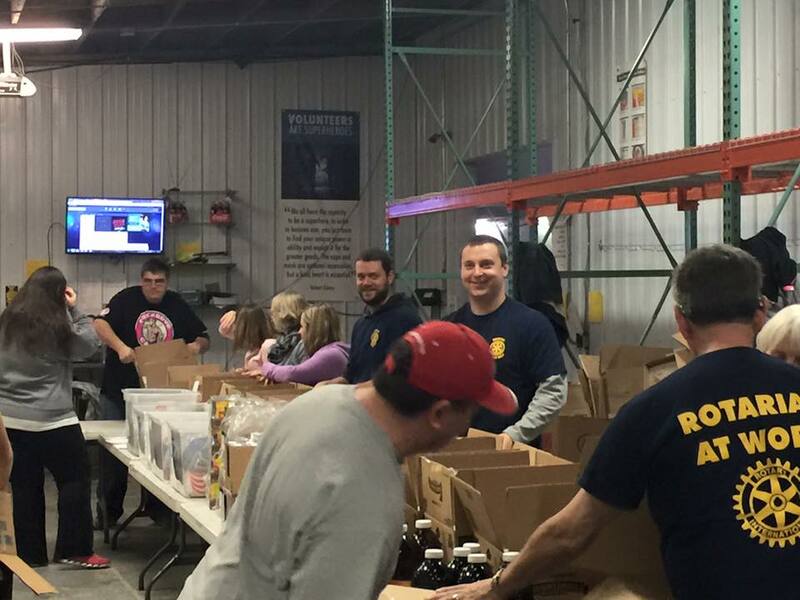 Crown Point Rotary joined in on this effort a year and a half ago. With Dolly Parton’s Imagination Library we have committed to providing a book a month for up to 300 children in our community for the next 5 years. We are only able to do this because of our partnership with Rotary District 6540, Crown Point Community Foundation, and you! 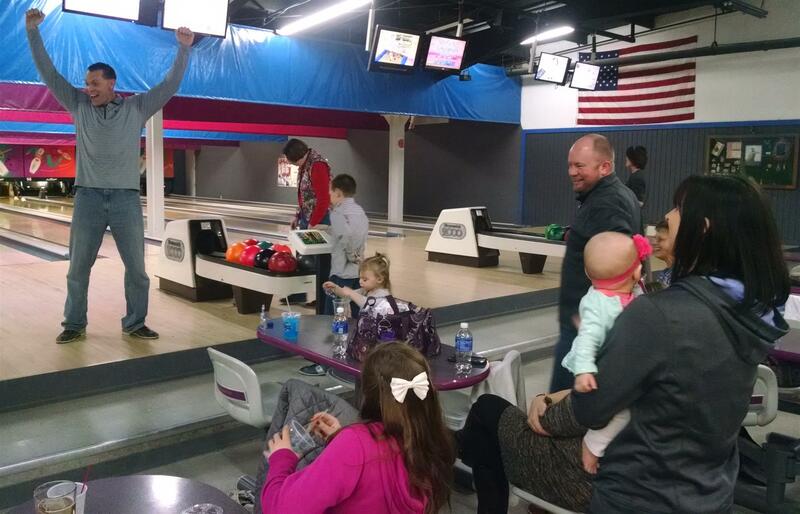 While 300 children is quite a few, there are over 750 families within our own community that are in need! The need is obviously bigger than our club can take on alone. We are launching an internal initiative this month and our goal is to get 100% participation from our members. After our internal initiative, with the help of Crown Point Community Schools Corp, we will be rolling the initiative out to the community. The ultimate goal is to set up an Endowment for the community to provide books to all pre-school children in need for years to come. A fund has been established with the Crown Point Community Foundation, the Crown Point Rotary Foundation Fund, all donations to this fund will be tax deductible. 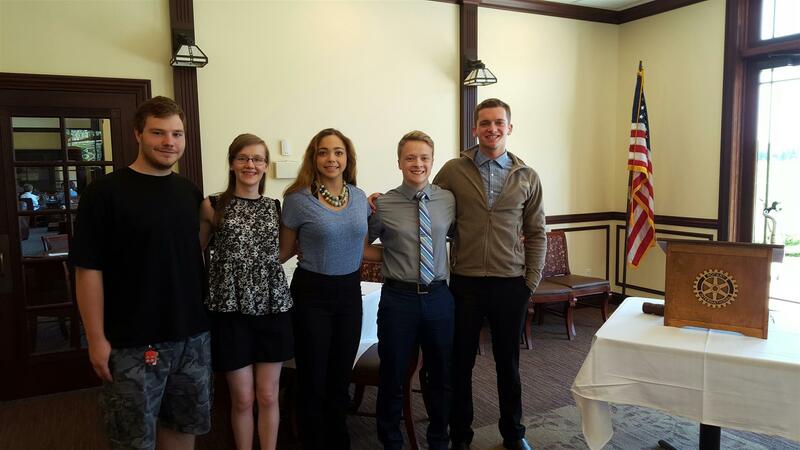 Congratulations to our 2016 Crown Point Rotary Club Scholarship recipients from Crown Point High School: Caitlyn Baker, Alyssa Guritz, Joseph Karczewski, Zach Otano and Luke Perrin. 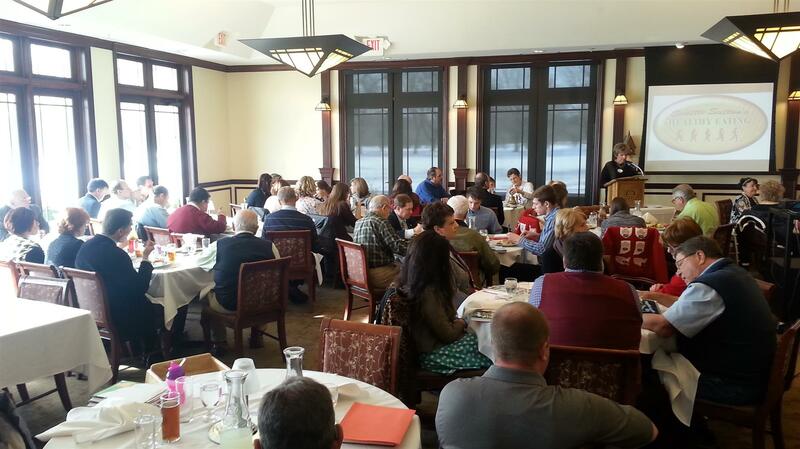 Thank you for joining us on our Wednesday lunch at Youche Country Club and thank you for your continued interest in Rotary. Best of luck in your future endeavors! 655 Care Packages Ready for Seniors! 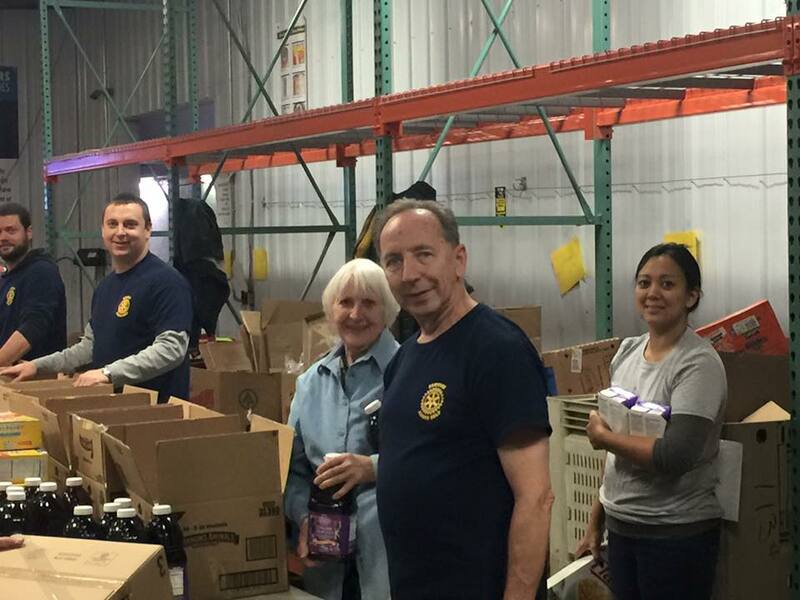 The Crown Point Rotary Club enjoyed helping pack 655 care boxes for seniors in Lake and Porter counties at the Food Bank of Northwest Indiana. Service above self. Visit www.foodbanknwi.org to learn how you too may give back! Our Centenial Project is Complete! 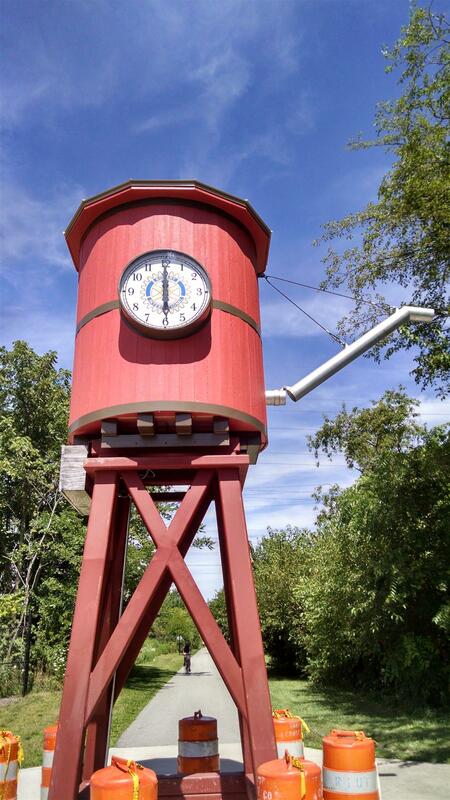 Our trailhead clock tower project has been in the making for 5 years as a celebration of Rotary's 100th birthday. We're thrilled to see this collaborative project come to fruition. What a beauty it is! 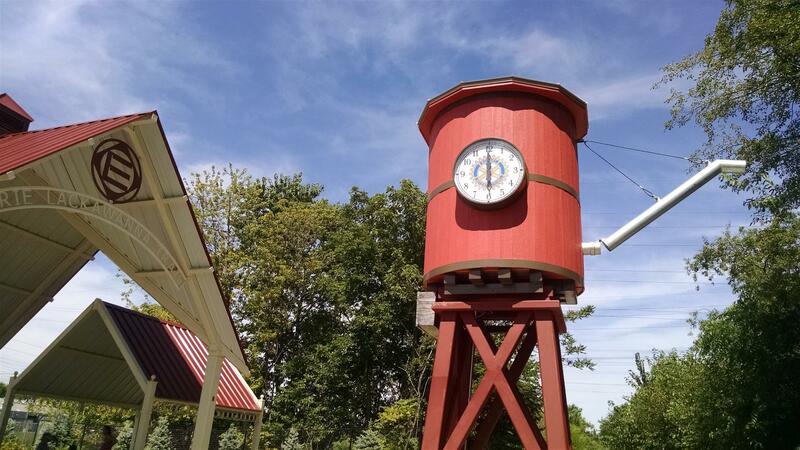 The Erie Lackawanna (EL) Trail represents the longest contiguous trail in Northwest Indiana, running 17-miles from Crown Point north to Hammond. This trail passes through wetlands and open space on an unusually wide, paved corridor. The EL is a popular thoroughfare that lends green space to an urban landscape on this rail-trail with connections to five neighboring communities. At the southern end in Crown Point, the EL starts at Summit Street, just west of Main Street, or State Road 55. The trailhead is brand new as of the summer of 2014 and features a 20-car parking lot, bathrooms, a drinking fountain and a seating plaza, complete with a large shelter replicating an old train depot. 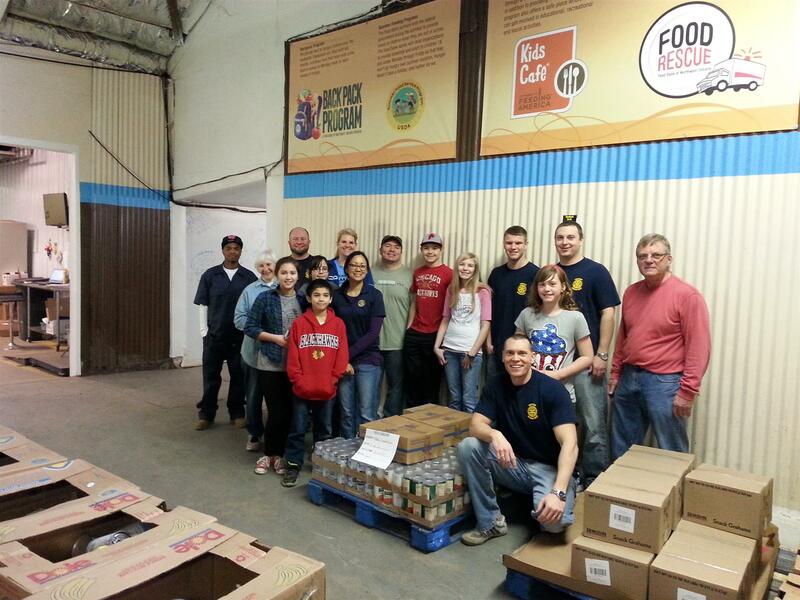 We enjoyed lending a hand at the Food Bank of NWI this past Saturday. 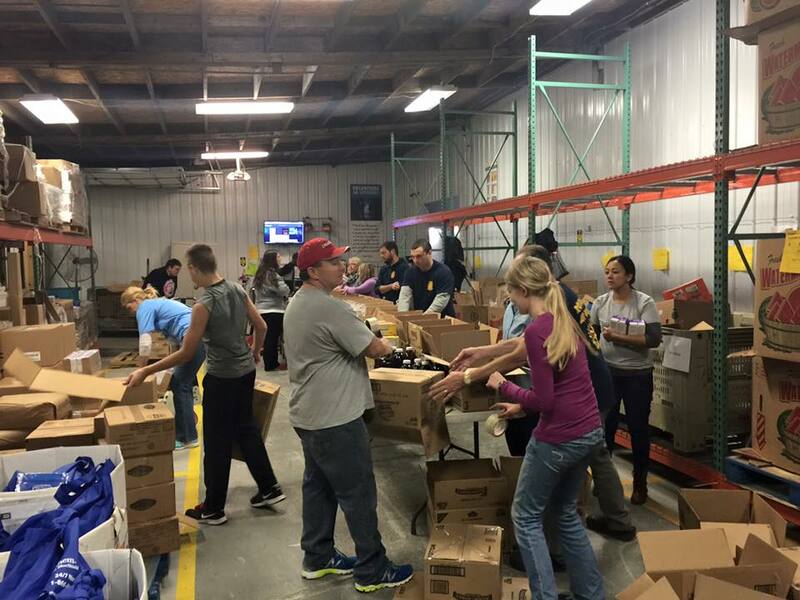 The Food Bank of NWI distributes nearly 4.5 million meals annually. 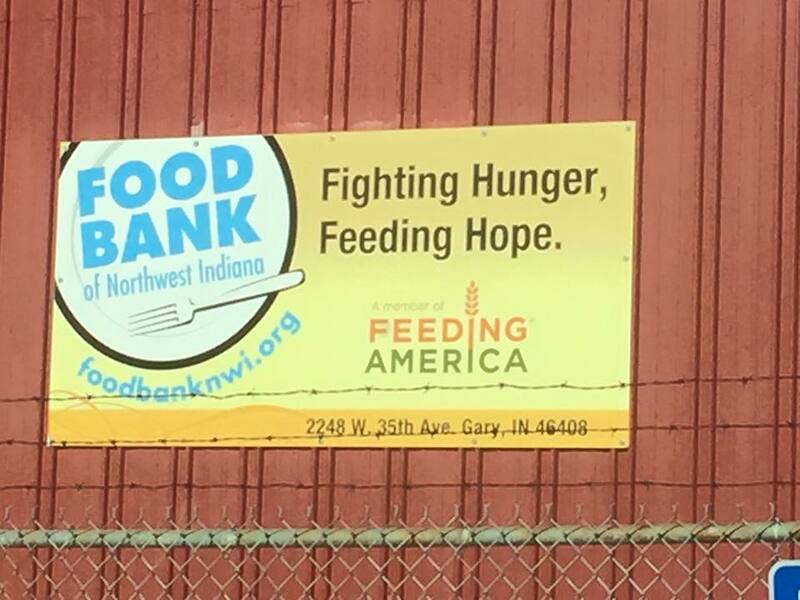 The Food Bank of Northwest Indiana strives to reduce the impact of hunger through programs of advocacy, nutrition education and faith based partnerships. You too can help! Visit www.foodbanknwi.org to learn more! 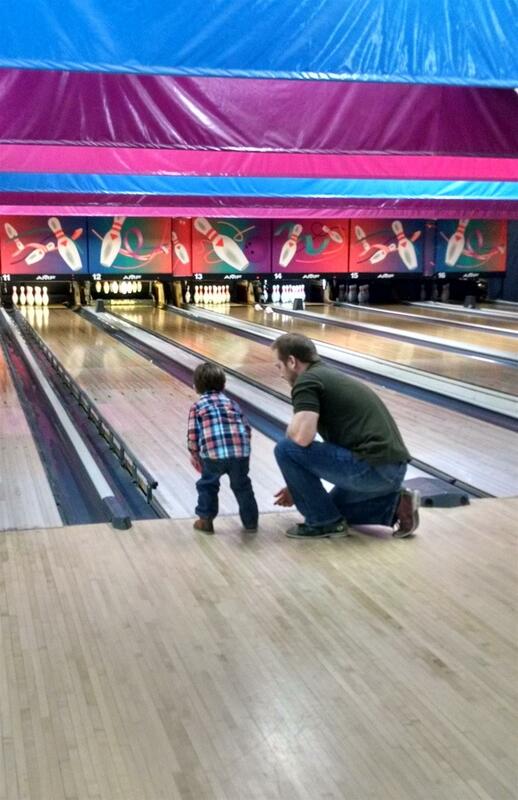 We had some good family fun bowling this past weekend. 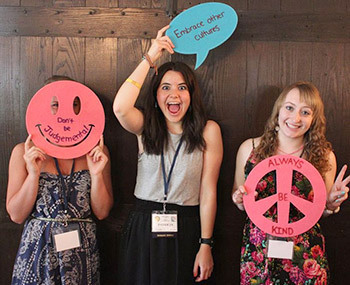 Rotary is focused on bettering our communities through service but we also build lifelong friendships in the process. Every Minute of Service Creates a Stronger Community! There's a special feeling you get when you fill a need, solve a problem or simply make life better for someone else. You feel it when you give money to a cause you believe in, take food to a sick neighbor or help a friend in need. Here's your chance to identify volunteer opportunities and become an integral part of cultural change by giving back in your own community. We had a great turnout at Rebuilding Together this weekend. Thank you to all of our volunteers and sponsors! Growing our Club and Impact! We installed David Kacmarik, Atty of Sendak & Stamper, our 5th new member since our membership drive commenced in January! Welcome to Ro Loughmiller (Franciscan Alliance Working Well), Doug Kvachkoff (Indiana Title), Tom Neuffer (Centier Bank) & Cynthia Schiller (Grace Counseling)! With each new member we are able to make a greater impact on our community through fresh ideas and a joined service effort. 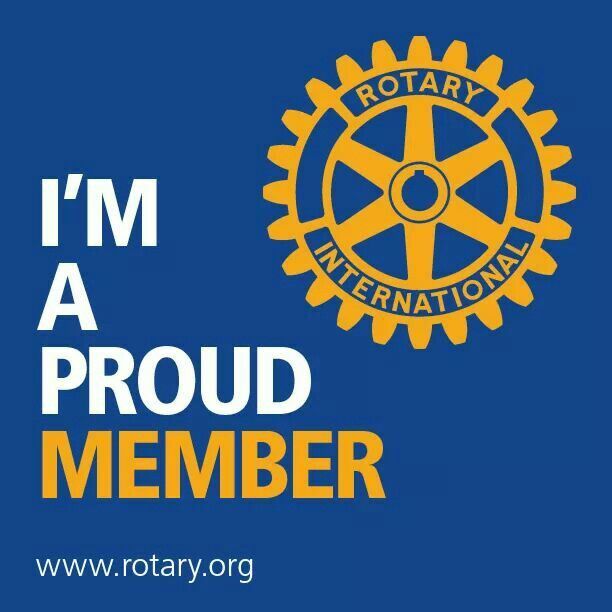 Message us for a personal invitation to one of our lunch meetings to see the difference you can make through Rotary and the impact it will have on you. 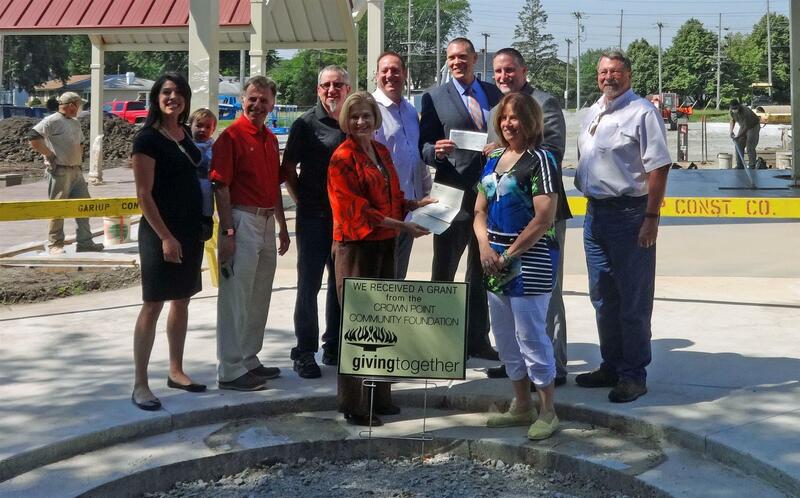 Our club and the Crown Point Community Foundation presented contributions to the City of Crown Point for the Trail Head project at Summit Street. A clock tower will be erected with Rotary's logo and text dedicated to our service and in celebration of Rotary's Centennial. This collaboration truly demonstrates great community partnerships. The Trail Head is a beautiful addition to our city and we're thrilled to be a part of it! International Rotary Toast to the Crown Point Rotary Club! 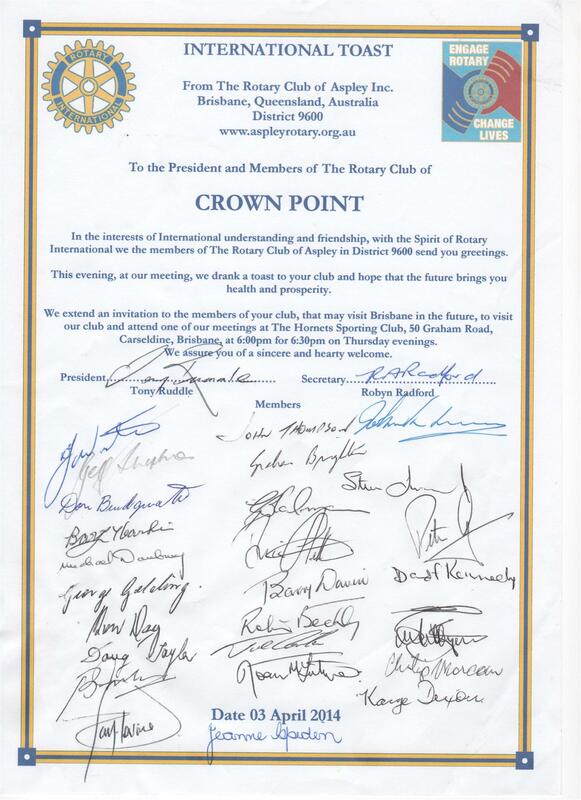 The Rotary Club of Aspley, Brisbane, Queensland, Australia, proposed an International Toast to the Crown Point Rotary Club. They started the tradition 2 years ago to make meetings more interesting. And Cheers to you! A Neat CP Rotary Tradition Resurfaces! We received a message from a gentleman in Florida (thank you Jerry Flaherty!) 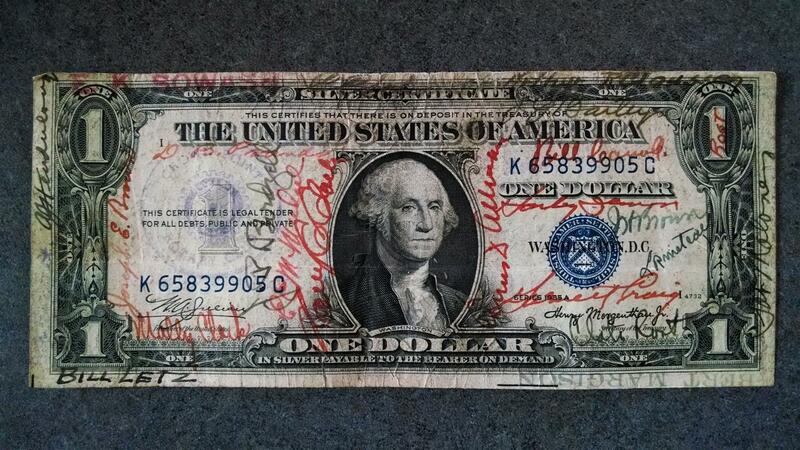 who inquired on a dollar bill he had come across that was signed by ~40 Rotarians and stamped with the Crown Point Rotary emblem. Some of our long time members informed us that when a soldier was home on leave during WWII the club would have them to lunch. The bill was signed by everyone. It was a good luck charm as the club was always with them. Our club is rich with tradition! Do you want to do good in the world? So do we! We wish you all a happy, healthy and prosperous 2014! 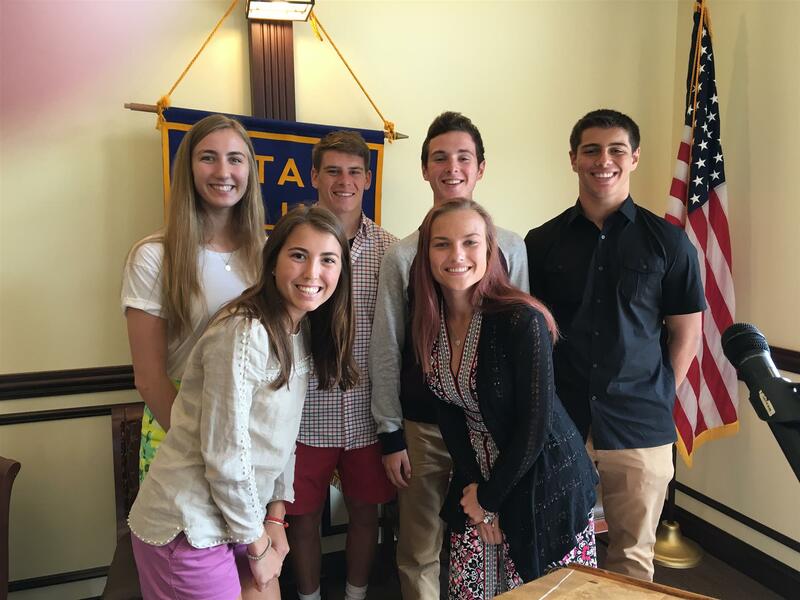 If one of your resolutions is to give back to others, gain leadership skills or be more involved with your community then Rotary might be a great fit for you. We meet weekly at Youche CC in Crown Point at noon. We're happy to invite other community minded members to grow our club. 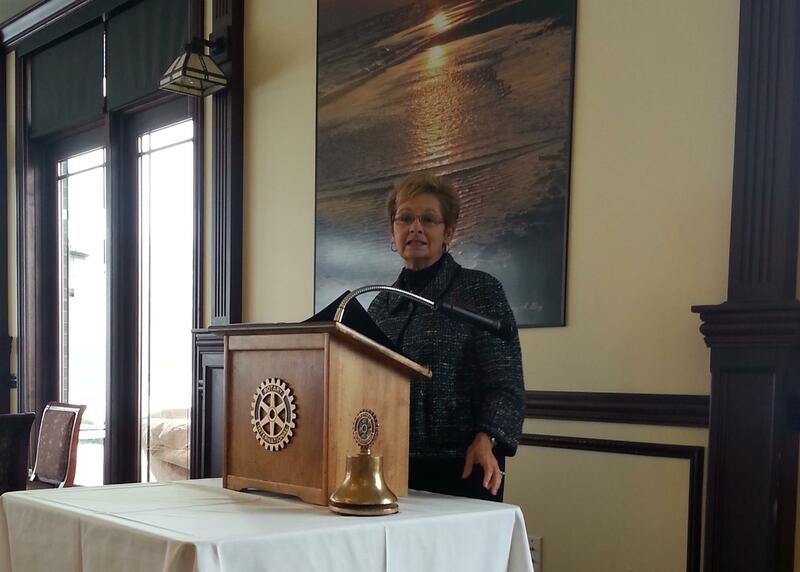 One great benefit of being a part of Rotary is hearing great speakers weekly. 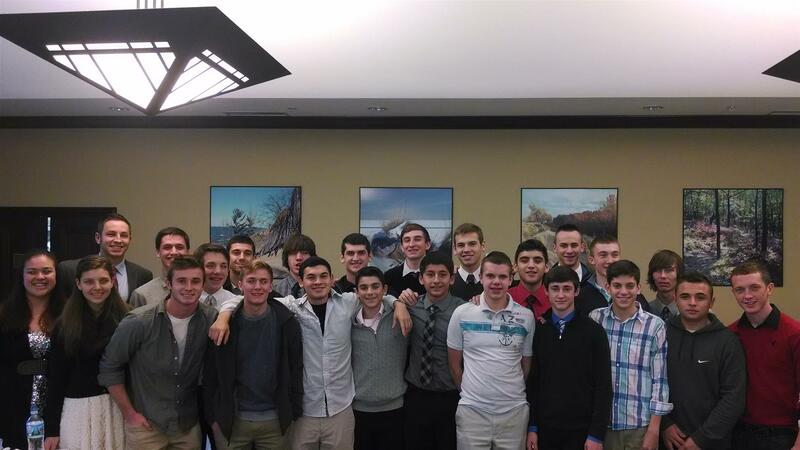 Last week we heard from Family Express CEO, Gus Olympidis who employs 500+ locally, this week we had the opportunity to meet local celebrities the CPHS State Soccer Champions and next week we will hear from Public Relations Manager at NIPSCO. Where else would you be able to hear from so many fantastic community influences?! We are thrilled to announce that we have updated our membership options to include corporate memberships! This is in consideration of work obligations that make it difficult to attend weekly meetings and employee turn over. 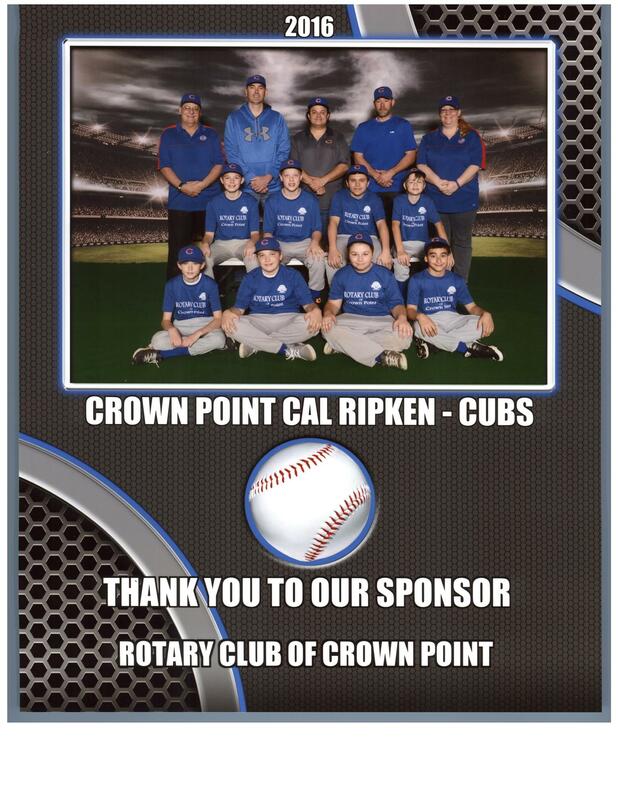 We hope this will make it easier to benefit from being a part of the Crown Point Rotary Club while our club will be able to retain valuable relationships with great businesses in our community. Inquire within to learn more about this opportunity to make a real difference and network with community leaders! 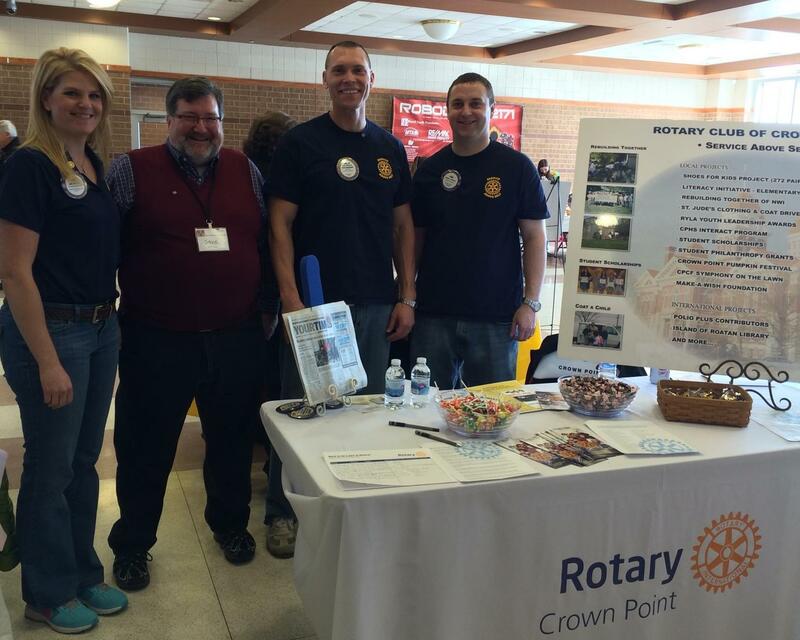 Thank you to all of you who attended or supported the Crown Point Rotary Clubs 9th Annual Blues, Brews & BBQ! It was our most fun and successful year yet! We believe responsible leadership means more than just doing good work—it means making the most out of every donation we receive. Thank you again to all our sponsors and all of you! Sign-up today for the Crown Point Rotary Club's New 5K Blues Jam | Fun Run! Visit https://www.signmeup.com/site/reg/register.aspx?formid=95012&q12=Z22LWY7 to register. Save the Date Saturday, October 12th! Please Bring 2 or more non-perishable food items | Thank you Strack & Van Til who will match your donations to the Food Bank of NWI! The weather was hot, the scenery was beautiful at Fox Run and we enjoyed each others company at our annual Crown Point and Hammond Fellowship Picnic.